We’re happy that you’re interested in advertising with us. 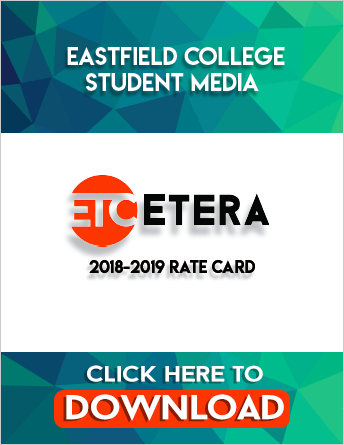 We are the award-winning, student produced news organization at Eastfield College. Our student staff produces a bi-weekly newspaper that is distributed all across our campus. The Et Cetera staff also maintain our website with fresh digital content in addition to our print stories. We have a variety of sizing and color options for your print advertising needs. Our website is also an avenue for advertising. A third option is our summer edition, The Experience, which stays on racks for a full year as a new student guide. create an ad for you for a small hourly charge. Find details on all of this and more in our ad kit download below. Information for this edition of the ad kit is valid through August 2019.